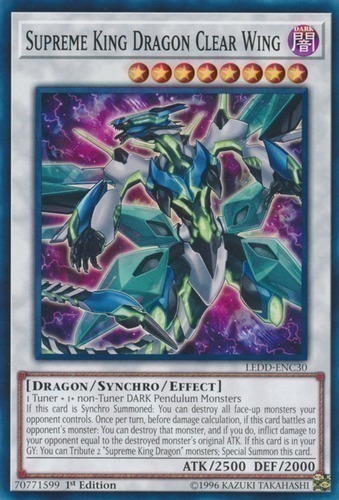 If this card is Synchro Summoned: You can destroy all face-up monsters your opponent controls. Once per turn, before damage calculation, if this card battles an opponent's monster: You can destroy that monster, and if you do, inflict damage to your opponent equal to the destroyed monster's original ATK. If this card is in your GY: You can Tribute 2 "Supreme King Dragon" monsters; Special Summon this card.